I saw these cute prints on Jones Design Company the other day and decided to make one of my own. 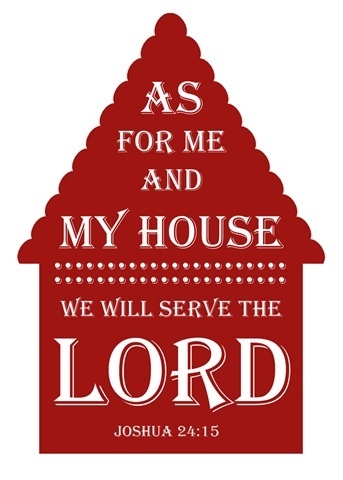 She had this verse on a chair but I wanted to make one with a house. 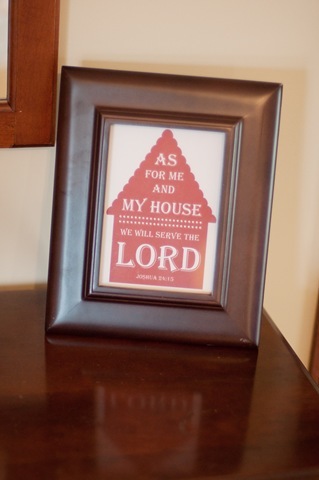 I had an empty frame in our room, so I put the print in there and stuck it on our entry table. I love it! It looks better in person.